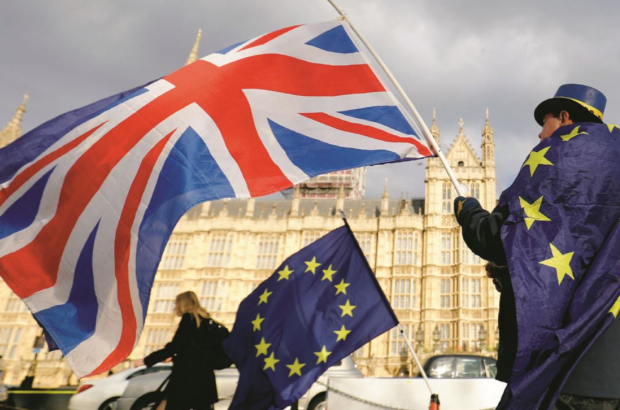 UK nationals working in the European institutions had plenty to be worried about on the morning of 24 June 2016, when the result of Britain’s referendum on leaving the union was confirmed. A narrow majority of voters had backed leaving the EU, and as the implications of the result sank in, UK officials started to fear for their jobs. The staff rules of the EU institutions say they can employ only nationals of the bloc’s member countries, and can ask officials to resign if they no longer meet the employment requirements. Two years after the referendum – and despite reassurances from Jean-Claude Juncker, the president of the European Commission, that they will keep their jobs – many UK officials have sought Belgian citizenship as a way of continuing to qualify as nationals of an EU member state. But they have found themselves battling what many see as unpredictable and inflexible Belgian authorities. There are around 2,000 UK nationals working in the EU institutions as full-time civil servants – known as fonctionnaires – or as agents on temporary or fixed-term contracts. The largest number, over 800, work in the commission. Unlike the 73 UK MEPs and the UK’s commissioner, Julian King, many full-time commission officials can expect to keep their jobs after Brexit, with Juncker having told fonctionnaires they will benefit from an exemption to the rule that staff must hold the nationality of an EU member state. The fate of UK nationals working under temporary contracts for the various institutions, however, is trickier, as their employer has no obligation to extend or renew these contracts once they expire after Brexit. Juncker has told this group that they will be treated “generously and transparently”. UK nationals working in foreign offices of the European External Action Service, the EU’s diplomatic corps created in 2010, meanwhile, will have to return to Brussels next March as the service’s rules stipulate that only EU nationals can work in these delegations. However, some officials worry that the next commission, which takes office at the end of 2019, is under no obligation to abide by Juncker’s guarantees. Not surprisingly, then, many UK nationals have sought other ways to ensure they keep their posts after the UK leaves the bloc in March. While negotiations between the EU27 and the UK over how to avoid a hard border between the Republic of Ireland and Northern Ireland are proving one of the most difficult aspects in the Brexit talks, the close historical links between the UK and Ireland have offered one route to maintaining EU citizenship: UK citizens who can prove that one of their parents or grandparents was an Irish citizen can apply for Irish citizenship. Citizens of EU countries can normally obtain Belgian citizenship provided they have lived and worked in Belgium for five years. The Belgian authorities require records of tax and social security contributions during that period. But UK officials working for the EU, who don’t pay Belgium’s punitive income taxes and social security contributions, have found that the semi-diplomatic status they enjoy is an obstacle to Belgian citizenship, even when they’ve lived and worked here for decades. Applications for citizenship are handled by a resident’s town hall, which is responsible for assessing each file before passing it to the ministry of justice to decide whether to grant citizenship or not. The main stumbling block has been that EU officials are issued a special identity card outside the normal Belgian registration system. Ixelles, in which many UK officials live, was one of several municipalities to take the view that the EU card did not count towards the five-year residency requirement as it wasn’t part of an official list of recognised documents. A number of UK officials challenged Ixelles’ decision to reject their applications. In May, Belgium’s court of appeal upheld a ruling by a family tribunal that excluding applications because of the special identity card was a form of discrimination. But the appeal court’s ruling has yet to change anything in practice as there would need to be a change in the law, adding the card to the list of recognised documents. Concern at the obstacles to getting Belgian citizenship have been voiced at the highest political level. In May, Juncker appealed to Charles Michel, Belgium’s prime minister, to grant citizenship to UK officials when Michel addressed the European Parliament. Juncker contrasted the warm welcome that the city of Brussels gave as host to the EU institutions with the approach of the country’s government. “I’d also like the Belgian authorities to apply the same generosity when it comes to extending Belgian citizenship to the British officials here in Brussels – they deserve it.” Michel responded by referring to the legal complexity involved but offered no promises of action. The Belgian authorities’ stance has prompted speculation that there may be a hidden motive: a desire to prevent UK officials with newly acquired Belgian nationality competing with Belgians for senior posts in the commission. While the commission does not have quotas for specific nationalities, it aims for “geographical distribution” or balance of nationalities, especially for the highly sought-after management positions. Relations between the Belgian authorities and UK officials are fraught because of the ongoing uncertainty and perceived reluctance to grant residency; UK officials applying for Belgian nationality contacted for this article declined to be quoted about how they were being treated. One official explained that UK citizens had chosen not to antagonize the authorities with public statements. “We’ve decided to keep schtum,” they said. Karin Impens, deputy to the Brussels commissioner for Europe, whose job involves relations with the EU institutions, rejects suggestions that the authorities are actively dragging their heels. “There is no desire to discriminate against civil servants,” she says. The commissioner wants to help UK officials, Impens says, explaining that they are working to make town halls aware of the concerns of UK nationals applying for Belgian citizenship. The municipalities see it as their duty to decide whether applicants meet the conditions for citizenship and whether to forward dossiers to the justice ministry for a final decision, she explains. One way forward is for communes to give up responsibility if applications are later rejected because UK citizens don’t meet the eligibility criteria, so they don’t have to worry about legal challenges if applications are subsequently rejected. Impens’ office is organising a seminar for municipal staff in September to update them on the latest legal developments. UK officials worried about their future can assume that the worst-case scenario – a mass sacking of British nationals – won’t happen. But many are already feeling the effect of Brexit on their careers, with the prospect of promotion to senior management positions blocked because of their nationality. There are currently two British officials in the commission’s top post of director-general: Lowri Evans and Stephen Quest. The last British official to be promoted to deputy director-general was back in 2016. Slowly but surely, the presence and influence of the UK within the EU institutions has begun its inexorable decline. This article appears in The Bulletin autumn 2018. Pick up a copy in newsagents or subscribe today. Disappointed passengers who thought they had permanent seats on the gravy train. The "thing" about Brexit and the UK etc...is that they where never really part of the EU anyway...and the reason is "money." The UK would have NEVER adopted the Euro, think about it. Perhaps it is a good time to appreciate what non-EU people went through through their contacts with town halls, passport controls and citizenship applications. Obviously, British should not be treated different than other non-EU. Only, they should aim for best treatment of everybody during these processes. I never forget a Pakistani father, who had everything ready in plastic folders, to answer any whim of the British visa official. We should not thrive for being different and ask for privileges but claim a world where everybody is treated in dignity in front of of the border and commune officials. Firstly, temporary contracts are always a risk and one that is knowingly taken from both sides, usually due to the short-term gain. So a very predictable outcome it seems. "who don’t pay Belgium’s punitive income taxes and social security contributions,....... semi-diplomatic status they enjoy is an obstacle to Belgian citizenship, even when they’ve lived and worked here for decades. Therein lies this issue - many officials chose to take special status, chose to pay derisory taxes and have chosen to do so for decades. Even following the result they chose to hold on to the status, assuming they'd be looked after, rather than normalising their status and starting to give more back to Belgium ahead of hoping to become a citizen. Had they done this, maybe the EC would have more leverage on the hearts and minds of the Belgian Government. I hold both British and Belgian citizenship, having gained Belgian citizenship while living and working here for 16 years. I HAVE paid those "punitive" income taxes and social security contributions, as have many other British immigrants here. Some of us also faced obstacles on the course to citizenship, where even a few weeks career pause or the wrong day, wrong person in the commune can derail the process. I really do feel great sympathy for any Brit stuck in the situation that Brexit has put us in - it's a mess. However I honestly don't know how I feel about the UK officials once again expecting to be given special treatment that is not afforded to those of us without their benefits.